The owl hopes you enjoyed the bash. In other good news the mappings of the owl are being appreciated far and wide. The owl’s story about The Rice Gatherers is getting published in Kindle Magazine’s upcoming issue. So the “Tear Sheets section has been updated. There has been a flood of complementary messages from first-time readers as well as regulars and the owl has been basking in all the love. Keep it coming folks! First off the owl apologizes for keeping you waiting, but then again he’s a creature of the heart and the heart is an erratic creature. Today he is perching is a not-so-frequented corner of a well-trodden part of the Owl City. 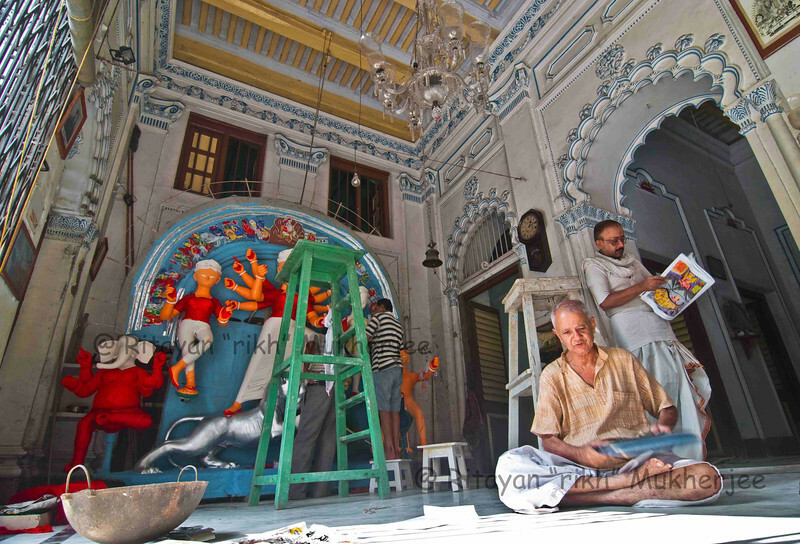 The neighborhood is Kumartuli and the perch is under the rafters of Gokul Chandra Mitra’s Rajbari. The occasion is Annakut and a prasad of newly harvested rice is being offered to Madan Mohanji (a form of Krishna and the reigning deity of the rajbari). After a puja, the Mitras fling rice towards all the gathered devotees and suddenly the air is filled with rice grains and the anxious energy of the devotees who want to collect as much prasad as possible. For them the grains embody the blessings of Madan Mohanji and they believe that their families will not suffer hunger, famine and other calamities if they amass enough rice grains. 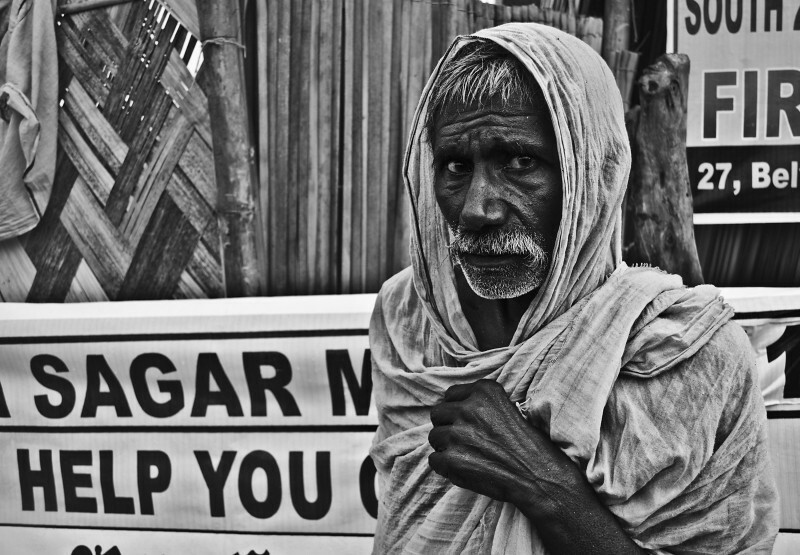 Bengal is covered with lush greenery but she has suffered catastrophic famines in the past. 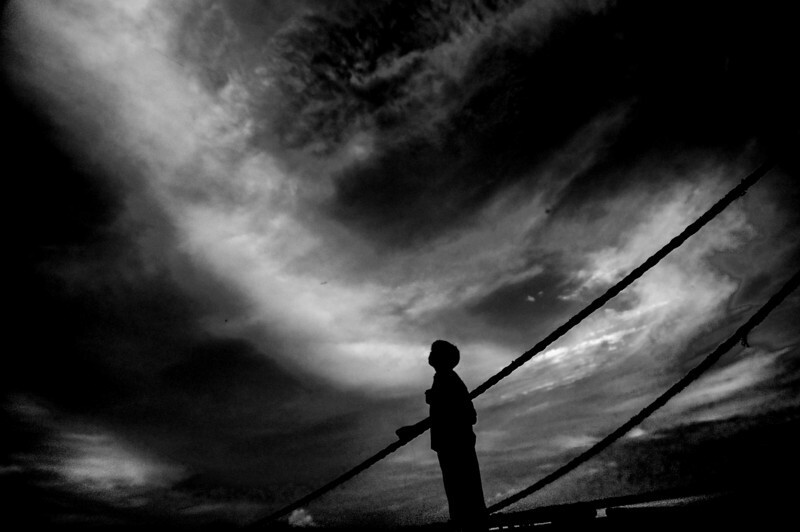 At the end of 18th century, a million people died of hunger, more millions died in the Great famine of 1943. In these trying times, cults like that of Madan Mohanji sustained people. These cults still give hope to the hopeless. Here are a few glimpses. The owl hopes you were as moved by these images as he was witnessing the ceremony. This fortnight the owl doesn’t stray very far from his backyard but flies back in time. Be warned this trip is not for the lily-livered. We’re flying to a wedding - a tantric wedding, no less - where shaivite tantrics perform rituals dating back to pre-vedic era in a flagrant rejection of mainstream hinduism. This owl would like to quote a wise man his rather admires. William Dalrymple explains in his book, Nine Lives, that ‘at the root of popular modern Tantric practice lies a deeply subversive and heterodox concept: the idea of reaching God through opposing convention, ignoring social mores and breaking taboos.’ Nowhere is this more visible than at Shiva Gajan. 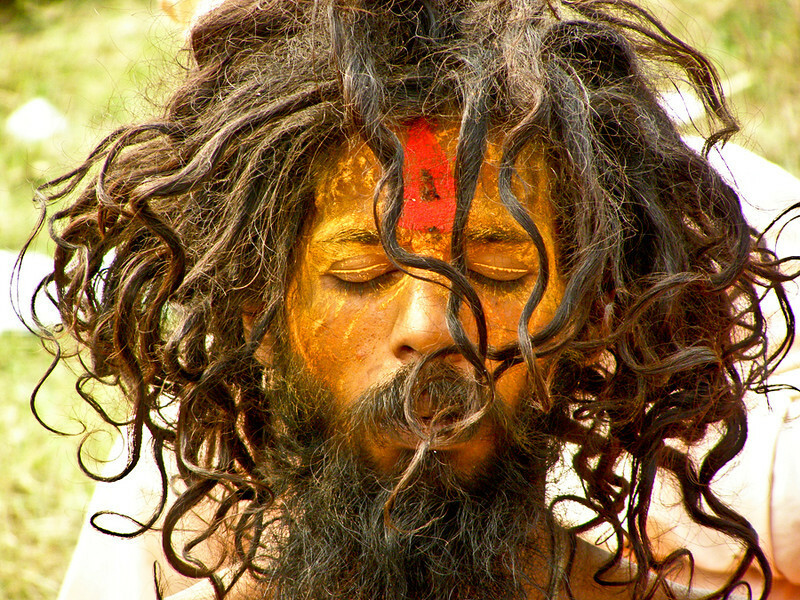 To commemorate the wedding of Shiva and Harkali, Gajan Sannyasis invert the concept of a wedding on its head by performing rituals similar to a Hindu funeral ceremony. 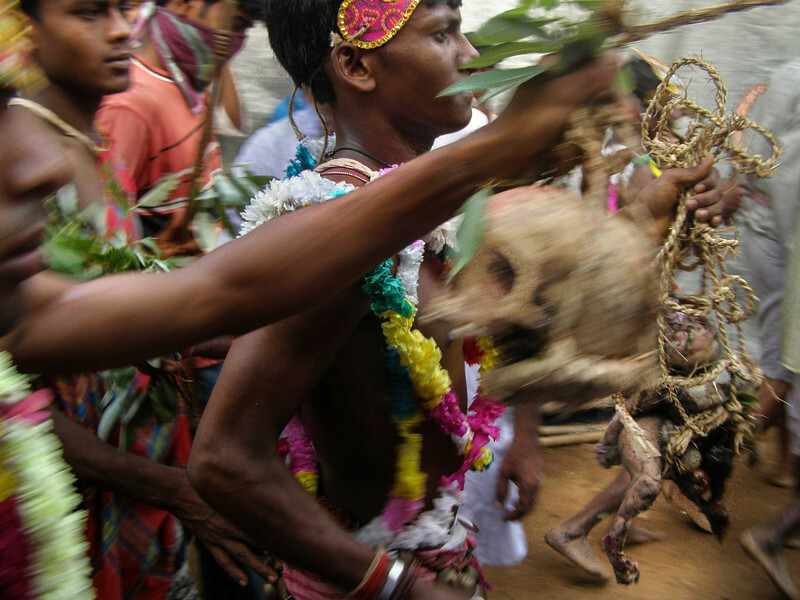 Further, they paint their bodies and run through villages making guttural noises and brandishing exhumed skulls and dead bodies. Since Hindus bury (and not cremate) infants that die an untimely death, most of the dead bodies in attendance at Shiva Gajan are infants. The owl requests you to use your discretion while viewing and sharing these. While you were taking in the spectacle of Gangasagar Mela and maybe flying some kites on Uttarayan, this owl flew south to the temple city of Madurai to witness the ancient tradition of Bull Taming. 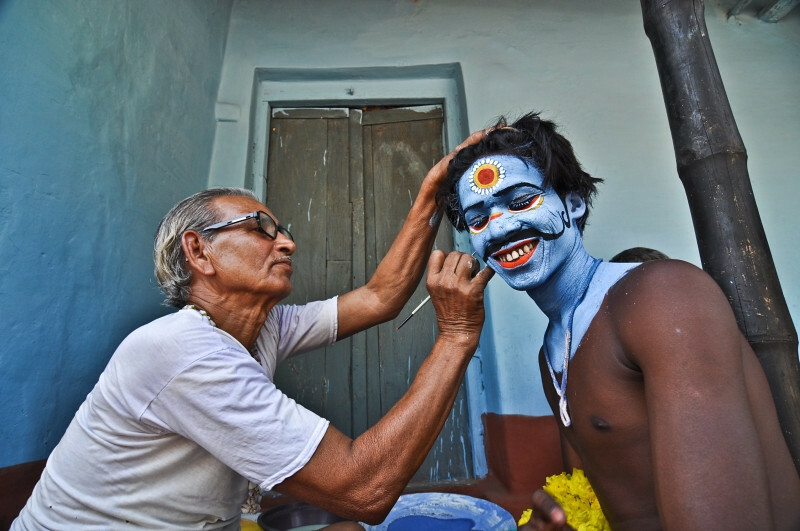 The first references to this tradition are found in Sangam Literature, which is more than 2500 years old. 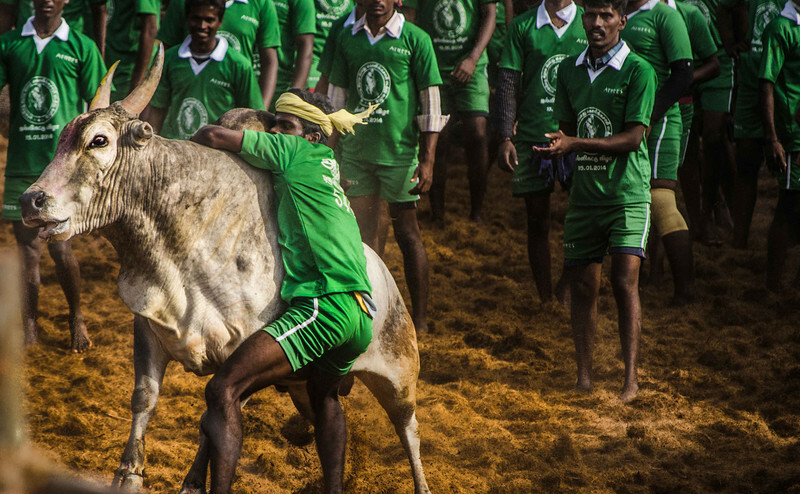 To this day, on every pongal Jallikattu or the Bull Taming Sport is played in the villages around Madurai. Here are a few glimpses of the action. The owl hopes you enjoyed all the energy of Jallikattu but mind you, the sport is more dangerous than it looks and the owl himself suffered some collateral damage while capturing these. Also the owl wants you to know that the blog will be updated on a fortnightly basis from now on. The journey so far is been rather eventful and circuitous. The owl relaunched the website in October and you have been flying to many different places with him. This would be a good time to review all the ground we’ve covered and set our sights far out on the horizon for the journeys yet to come. This journey has been amazing so far but it is far from over. Here’s to more wandering and more colorful experiences. This photo-story has been the most heart wrenching this owl has documented and it has taken over 4 years of effort to put it together. The owl hopes you appreciate the effort and the sensitivity that went into this offering. The owl hopes you loved the offering and requests you to stay tuned for another photo story on a darker aspect of Gangasagar Mela next week. As the holiday season is in full swing and new year approaches, the owl would like to offer up glimpses of another new year celebration ritual due in a few months. The weather is warmer and the spring is in full bloom on the slopes of Nepals when they celebrate their new year with much fanfare and revelry. Here are a few moments that owl was able to frame while keeping the doddering chariot from crashing on him by his sheer will to live and travel further. The owl hopes you like the pictures and wishes that you have a great year ahead. First off a thousand and one apologies for no updates in the past two weeks. The owl has been quite busy with some curious goings on in the owl city. Infact this owl recently flashed on to many bengali television screens and was talked about a glorious rajbari. Anyways enough gloating now, the owl is back at your service to tell you about all he has seen during his myriad flights. This owl once met a wise man who told him about another wise man called Confucius. He believed that ‘everything has beauty, but not everyone sees it.’ and the owl couldn’t agree more. It isn’t enough to just see, one has to look and observe to see the beauty in things. This week we’re flying further south, but a little to the east and the occasion is Anant Chaturdashi - 10 days after Ganesh Chaturthi. 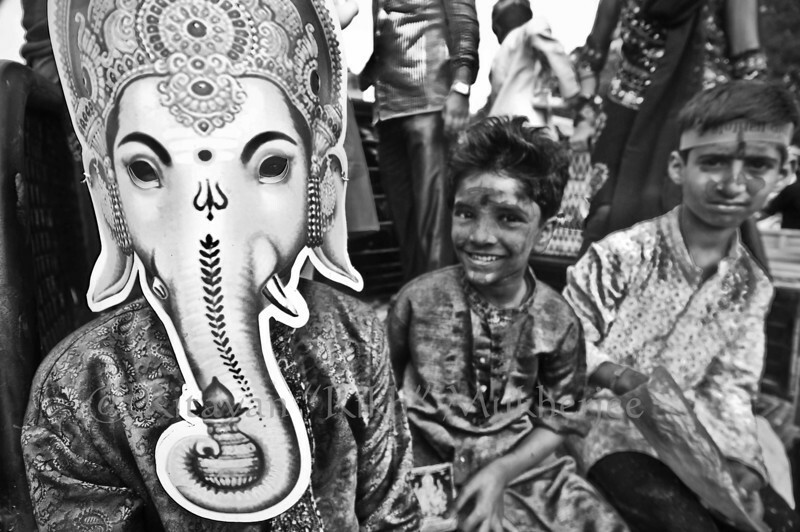 People think of Anant Chaturdashi and they think of Bombay with her throngs of devotees out on her beaches, giving a boisterous farewell to their favorite god, but she isn’t the only city who hosts the elephant faced destroyer of obstacles in her homes. The owl hopes you like the offering and you of course know how to show your love - go ahead, hit that share button, you know you want to do it. Also you need to stay tuned in the next few weeks as the owl is coming up with a three part series starting next week. After Rajasthan and the quick detour to Bihar, the owl flies southwest today to resplendent Gujarat - to Saurashtra to be specific. And the occasion is Darupadi’s Swayamwar, except modern day draupadis settle for just one husband. 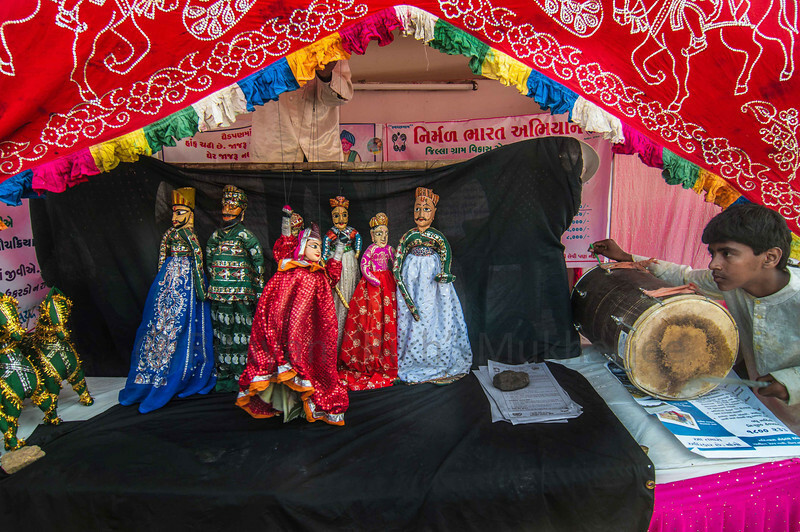 The men at the fair leave no stone unturned to attract their draupadis; they dress up in colorful traditional costumes, carry embroidered umbrellas and other decorated accessories. 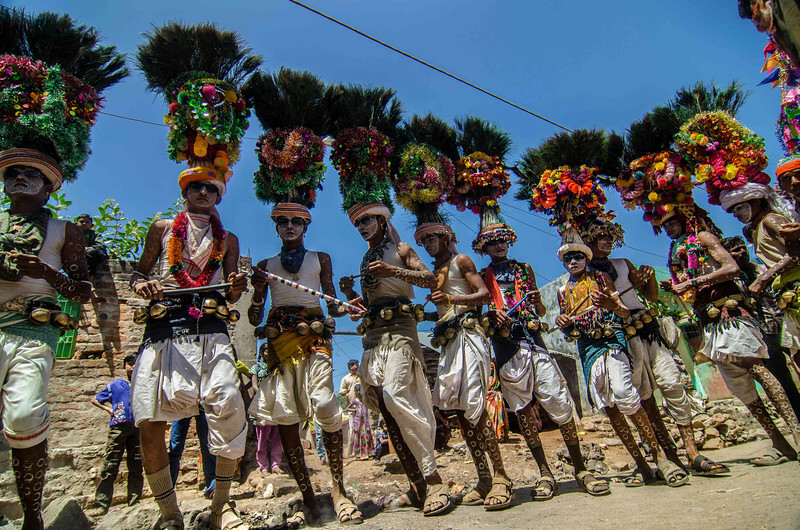 For three days in the month of Bhadarva, the village of Tarnetar become the site of this marriage mela, where the young from Koli, Rabari, Bharwad, Khant, Kanbi, Kathi, Charan, Harijan, and Deshrabari communities converge to find their mate. The fair grounds resound with the beat of drums and folk tunes on jodia pavas (double flutes), folk dances are performed; there is entertainment, the ferris wheels, sundry shops - the works and the spectacle like no other. You can catch a few glimpses here. The owl hopes you liked this offering and he also hopes that you observed the fact that the image adorning his homepage was clicked here. There is more good news about the image in the pipeline, but more about that after the owl has confirmation. Sonepur was cold and misty, in parts frustrating as well as rewarding. The owl was able to capture some beautiful moments but that is for another update and another blog post. The best part of Sonepur is of course the elephant bathing. You can see this gentle giant getting a dunk and then sunning himself. Patterns made by the soft sunlight is quite reminds one of long winter afternoons spent snoozing and basking. The owl hopes that doesn’t ruin your will to work for the rest of the day and stay tuned for the next gallery update. The owl hopes you had a great Diwali and you have a prosperous year ahead of you. The owl too had a rather full week, with many comings and goings and preparations for the upcoming Sonepur Cattle Fair. Rest assured you will get more fresh photographs in a bonus post next week. This week the owl is flying west to the land of sand dunes and vibrant colors to celebrate just that - colors. 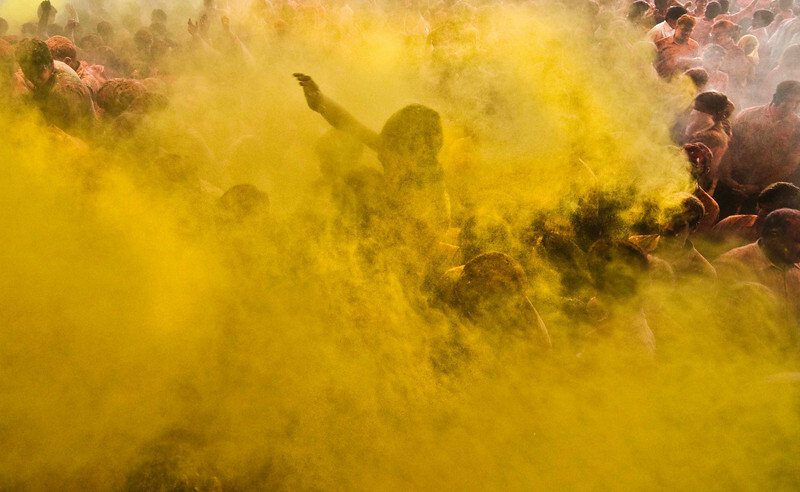 Granted its still a few months before we celebrate Holi but it is generally observed that one is left craving for more excitement in the wake of recently concluded festivities. Hence with the chill just beginning, it is the perfect time to start dreaming of warm climes and thrill of coloring everyone. The owl hopes you liked these glimpses and would love to hear more about what you think about it. Don’t forget to like, share and comment on the gallery as well as the blog post. 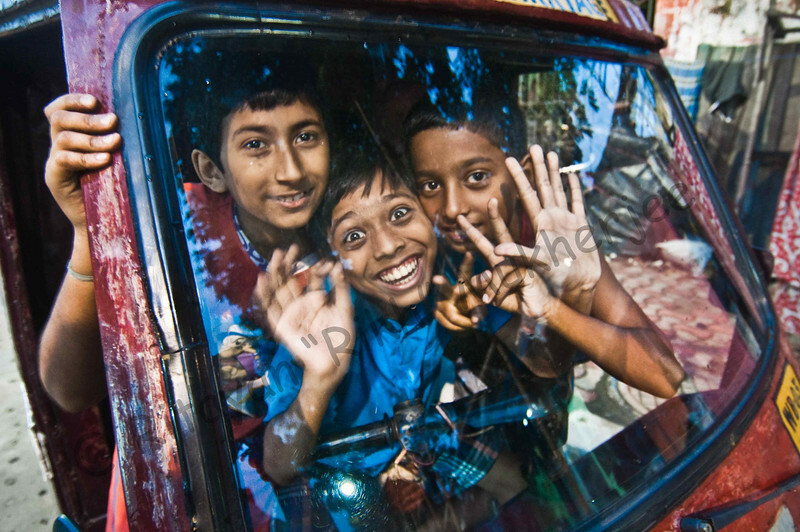 And this week you will be flying further afield to Bihar. This is the diwali week and festive preparations are in full swing. In a small village called Sonepur near Patna things will get really really exciting a fortnight from Diwali. One by one animal traders will set up camp and bring with them their families and their bulls and horses, mules and donkeys, dogs, exotic birds - you name it. The place of honor however goes to the elephants. They aren’t traded anymore, but they have a ceremonial role to play. The story goes that an elephant called Gaja Grah, a devout follower of Vishnu was paying obeisance to him while bathing at the confluence of Rivers Ganga and Gandak. Just then a Crocodile attacked him and Grah cried out to vishnu for help. Vishnu came down in the form of Harihar Nath and saved Gaja Grah. To commemorate this mythical event, elephants are bathed and decorated during the fair that lasts almost a fortnight. This owl hopes you like the photographs. And he promises to make a bonus post with an update of this year’s fair in about 3 weeks, because you deserve the most stunning, dramatic and fresh photographs. P.S. if you want to talk to this owl you can write and email to talk2owl@gmail.com and don’t forget to like, share and comment on this blog post as well as the photo gallery. Also don’t forget to subscribe to the blog to make sure you never miss any posts because new galleries are released every week. You can subscribe to the blog on a reader by the clicking on the RSS link or you can have each blog post delivered to your mail box, just enter your email id on the right side of the page. Now that you’ve flown to all the nooks and crannies of Calcutta with this owl, perhaps you might want to step out to the wider world. The good thing is, this owl is setting off on a journey himself and you’re more than welcome to come along. This owl suggests that you subscribe to his blog pronto so you don’t miss out on any of his posts because every week you will visit and new place and celebrate something new. All you need to do to subscribe is enter your email on the right side of the page or subscribe to the blog in a reader using the RSS feed link. This owl hopes you appreciated the effort. You can support this owl in his endeavours by linking, commenting on and sharing his photographs and the blogpost and of course by subscribing to the blog. And now for todays gallery. 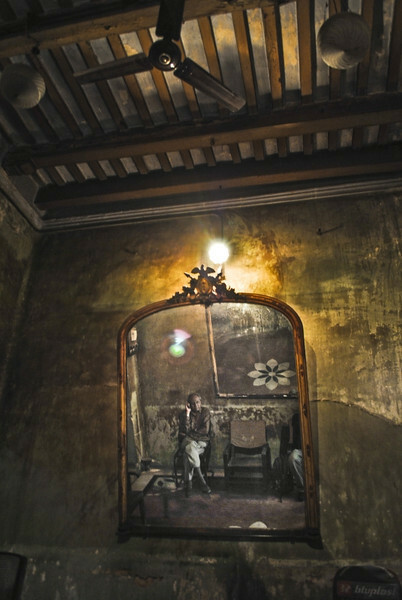 It is time to step out of the cool, brooding shadows of those Old mansions and step into the hot, humid and noisy streets of Calcutta. Her alleys and bylanes are teaming with myriad contrasts and paradoxes that would interest the passing owl. This owl hopes that you liked this offering and requests you to please subscribe to the blog (by clicking on the RSS Feed Link or by entering your email id at the bottom of the page) to make sure you’re in touch with all the developments on the website. Rest assured there is lots of stuff in the pipeline with new galleries being released every week. Your critique, encouragement and support are invaluable for this owl so please don’t forget to subscribe to the blog, comment on and share the photographs you like. An Observant Owl brings you pictures closest to his heart in a two part series. This week again two galleries are being released and the common thread between them (if you haven’t guessed already) is the owl’s favourite hunting ground - the city of Calcutta. Northern part of the city is dotted with Raj-baris or mansions that are the living, breathing testimony of the city’s glorious past. Gaining access to these houses is a slow and painstaking process that requires patience and sensitivity. 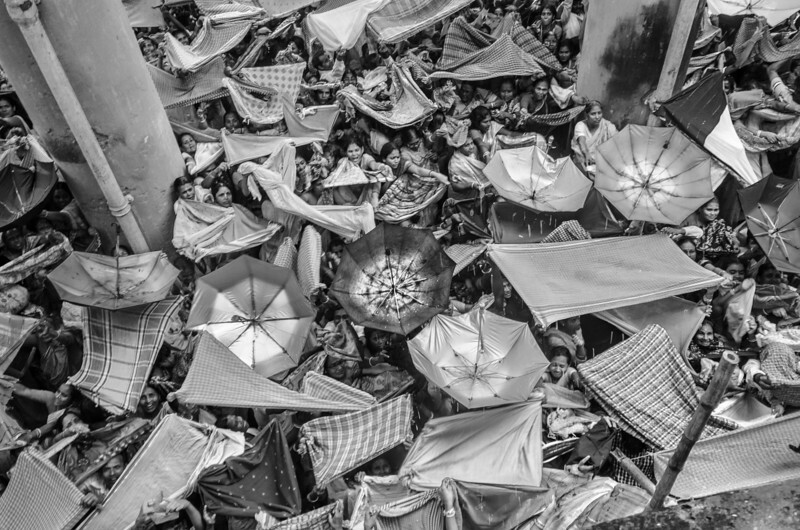 Preparations for the annual Durga Puja cannot be allowed to interfere with the ritual reading of Lookshakti, not when editor-babu has written a terrific editorial about how the ritual and the mystical keep the class consciousness from developing. I would love to sit down and write a letter to the editor expressing my support but I need to make sure those istupid phools Ramta and Bappa paint the idol properly. Bloodsucking louts have not done enough work in their lives to earn a decent work-day's wage. The owl pities those sad fellows and flies off before he gets caught in the crossfire. An Observant Owl announces the launch of its new website with these two crimson galleries. Today being Mahalaya, one of them had to be about Durga Puja. 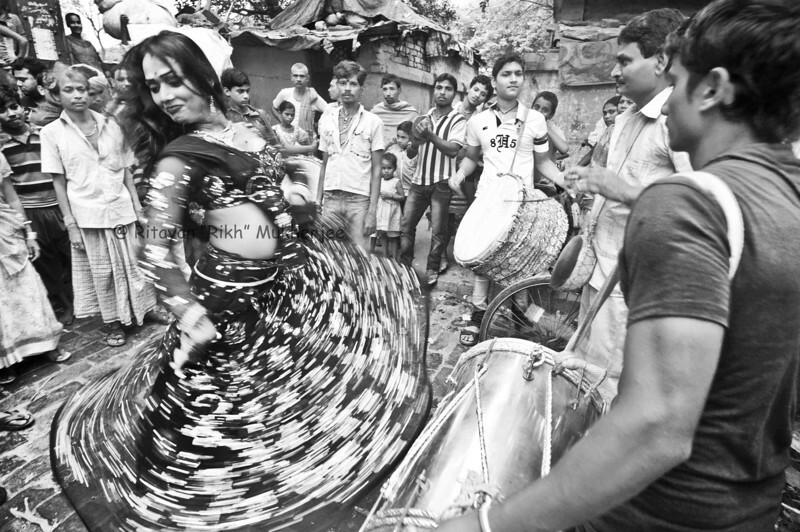 ‘The Vermilion Affair’ is about the Sindoor Khela in a Calcutta Raj-bari on the Bijoya to mark the end of festivities of Durga Puja. 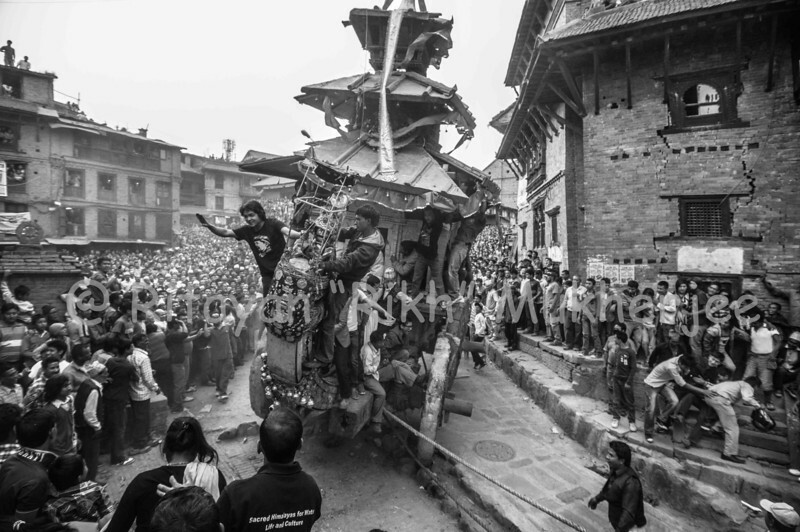 While ‘Paint the streets Red’ is about bringing in the New Year on the hills of Nepal and is still almost 6 months away. This owl hopes that you liked this initial offering and requests you to please subscribe to the blog (by clicking on the RSS Feed Link at the bottom of the page) to make sure you’re in touch with all the developments on the website. Rest assured there is lots of stuff in the pipeline with new galleries being released every week. 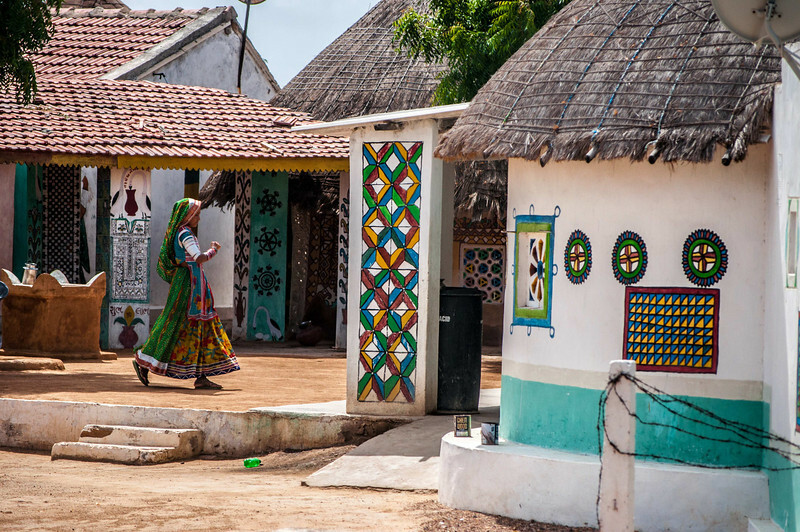 Traveling through towards the white desert, north of Bhuj, we came upon this oasis of life and color. 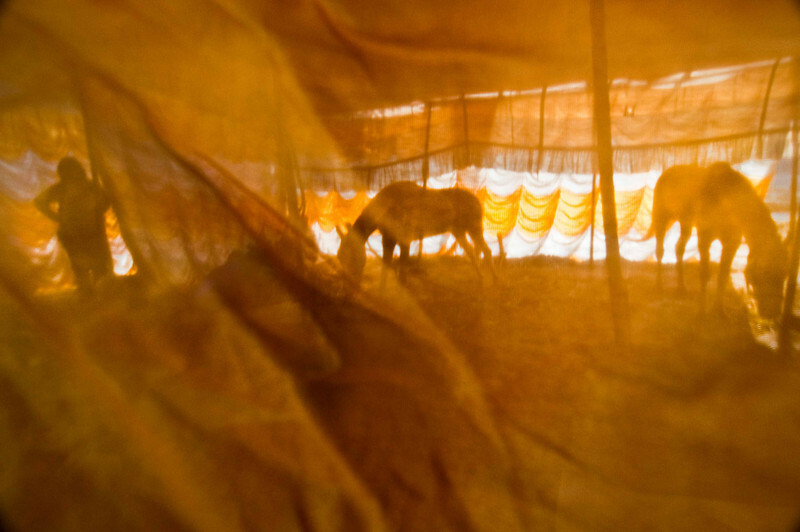 The men of the village were all away, tending to their animals – or maal as it is called in kuchchhi – while the women invited us in their homes, gave us a glimpse of their lives in a broken mix of kuchchhi and gujararti.